If you've always dreamed of being a dictator, get ready to check that one off the list. Atlanta-based gaming and entertainment studio Moneyhorse Games has created a retro style side-scrolling video game that will soon be released for PC's and mobile devices, starring none other than North Korean leader Kim Jong Un. Jaunting around on unicorns, ziplines and even in a basketball game against Dennis Rodman, the game's central focus is on Kim Jong Un battling U.S. forces. In the trailer, he even sets fire to an American flag. Miller also saysthat the game hopes to "'carefully walk the line of satire without being an apologist for the regime." Here are some game images -- judge for yourself how carefully that line is walked. Here we see "Glorious Leader" Kim Jong Un riding a flaming unicorn toward enemy forces. 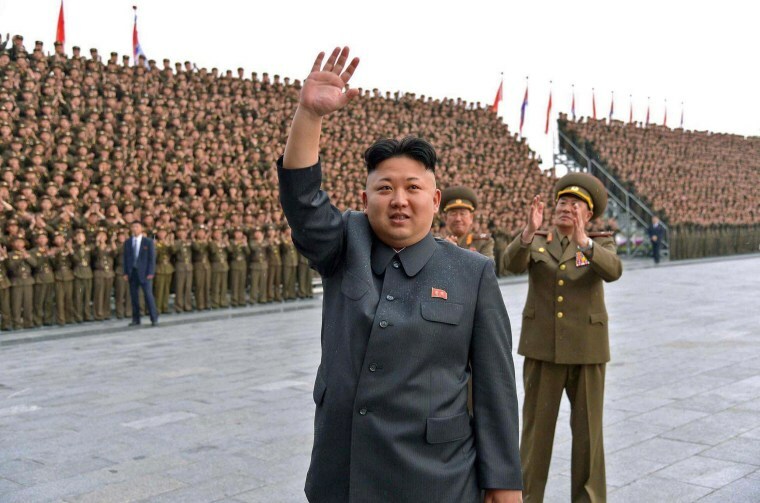 The result of climate change -- or just another victory for the North Korea leader? Kim Jon Une not featured here. Fun fact: Narwhals actually exist! Pictured left to right: "Glorious Leader," g BFF Dennis Rodman and ... Meadowlark Lemon? So alone ... so alone.